Voorzijde: Bourgondisch wapenschild over het hele veld, klein leeuwtje in schild in het midden. Keerzijde: Lang gevoet kruis met lelie in het hart, in de hoeken lelies en leeuwtjes. Obverse: Burgundian arms covering the entire field, small lion in shield at centre. Reverse: Long cross with lis in centre, lions and lis in alternating angles. Charles the Bold (Karel de Stoute), the last Valois Duke of Burgundy (1467-1477). His death at Nancy had great consequences for his Burgundian domains. The French King Louis XI immediately seized Charles' French properties, including the Duchy of Burgundy. Even after this loss, Charles' successors, starting with his daughter Mary maintained the title Duke/Duchess of Burgundy. During the reign of Charles only the mints of Leuven and Bruges were in operation. In 1471 he obtained the right to succeed Arnold, Duke of Guelders for the sum of 300,000 Rhenish florins. A year after his succession as Duke of Guelders (1473) a mint was established in Guelders (Nijmegen 1474). Under Charles the coat of arms of Burgundy remained unchanged. 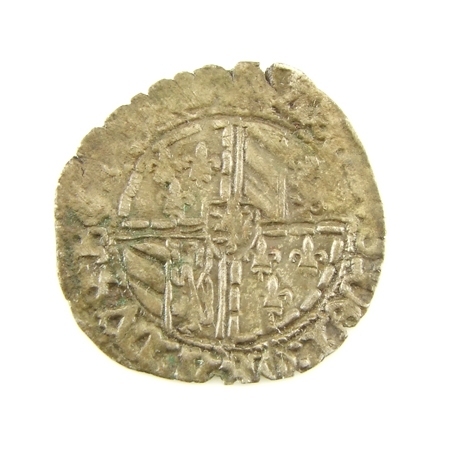 With the 2nd emission (Coinage Act of October 27th 1474) a new silver coin was introduced: 'Vuurijzer' (Briquet). 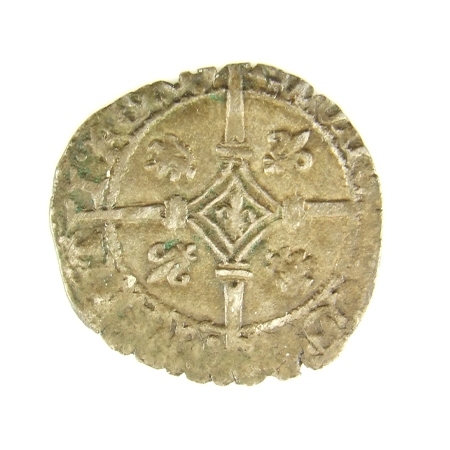 These silver coins were very popular and were struck up to 1485.